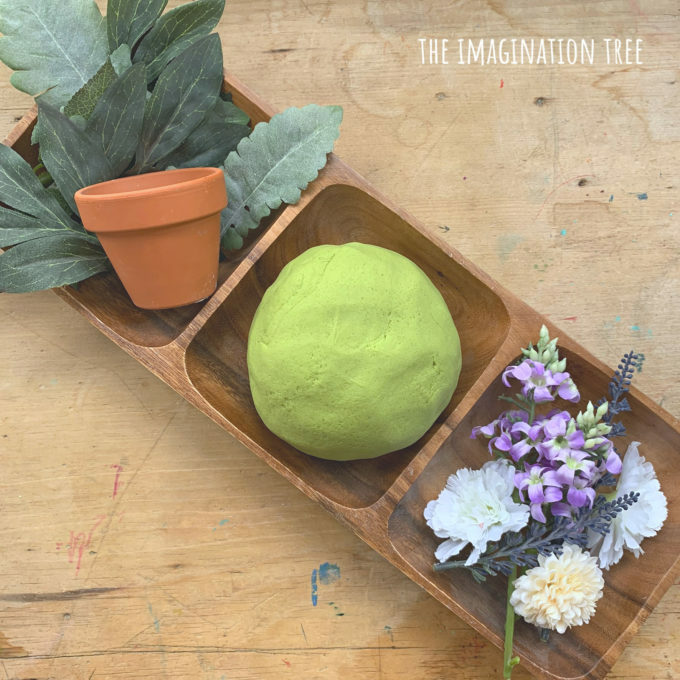 Make some gorgeously soft Matcha Green Tea Play Dough using this ALL natural recipe for little hands to explore! 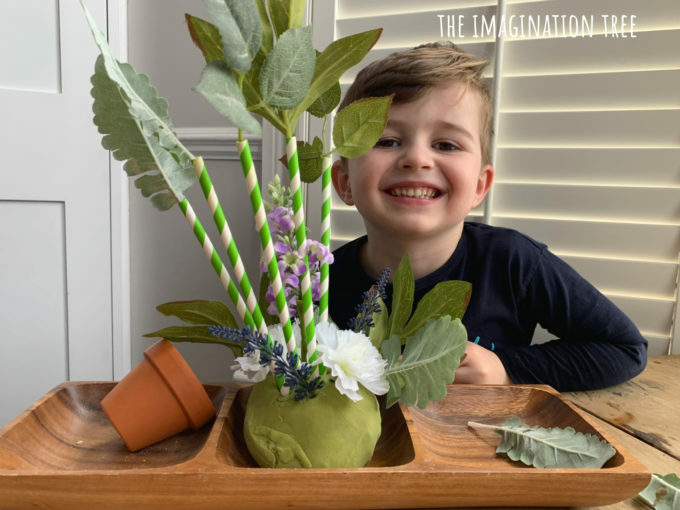 Perfect nature sensory play for Spring or as part of a flowers and garden learning theme. 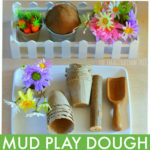 Spring is here and time for a new play dough recipe for some seasonal fun and learning! I’ve been wanting to try using Matcha Green Tea powder for some time to see how well it would dye play dough naturally, and it works brilliantly! 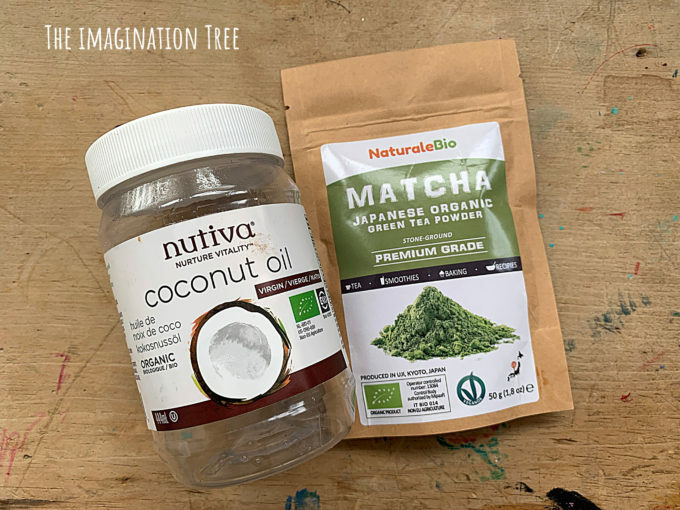 This is an ALL natural recipe meaning it’s taste safe (in small quantities of course, as it contains high salt content) and and be made completely organic too. I’ve made a really simple step by step tutorial video to show how I made this in less than 4 minutes (I’ve got it down to about 2 1/2 minutes now- it really can be as fast as that!!) And it lasts for months if stored away immediately in an air tight container after they’ve stopped playing with it. Don’t leave it out all day and it will stay super soft and stretchy. Use real measuring cups in this recipe. The kneading is a really important stage of the process so don’t skip this. It should be super soft, stretchy and pliable, ready to play with. Set it out alongside fabric leaves, flowers and little plant pots ready to play planting and flower shop games (like we did here!) My 4 year old independently added the paper straws to his dough set up, then added the leaves into the end of each. If you watch the video of him doing this you’ll see it took some concentrated effort and is excellent for developing fine motor skills. 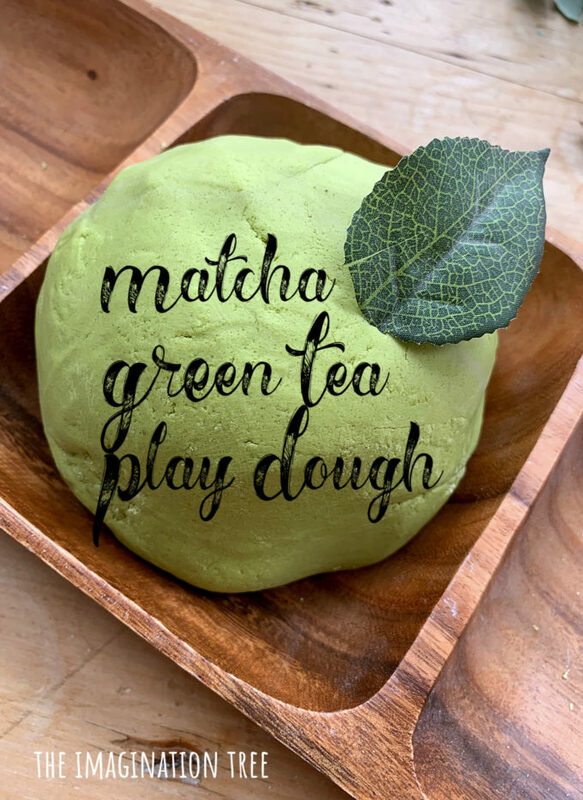 There are SO many ways that you could play with this Matcha Green Tea Play Dough. 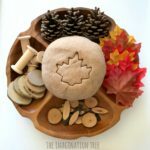 Loose parts form nature such as pine cones, wood rounds, acorns, twigs and leaves. 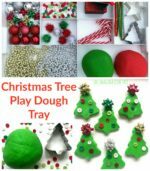 Add shredded paper and feathers to create little nests. 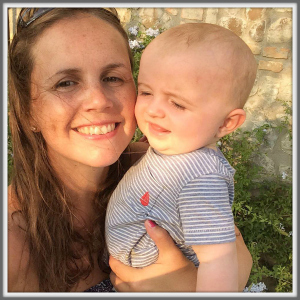 Glass nuggets, shells or pebbles for an alternative tactile experience. Or simply to roll, flatten, pinch, coil, chop, poke and cut shapes from! If you loved this recipe please do leave a comment, tag me if you try it yourself (here on Instagram is the best place to find me daily!) and share with your friends. Thanks! 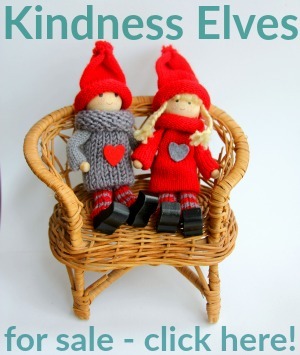 And you can be inspired by ideas for SPRING PLAY & LEARNING here too. Enjoy!